A conversation with Cindy Margules, a Director of Project Management Office, on how to handle stubborn resistance to change. The key components in change management and how attitudes and behaviors affect the outcome? How to deal with stubborn resistance to change in order to achieve success? And why exceptional communication and influence management are both critical to achieving buy-in and how to improve in those areas. 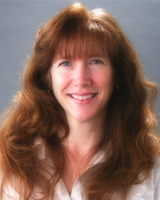 Cindy Margules, PMP, has been a program manager for over nineteen years and is a frequently requested speaker at many project management forums. Currently, as the director of the Project Management Office at Convio, Inc., Cindy ensures her company increases revenue, profitability and customer satisfaction through exceptional project management. Cindy has developed a unique process to instantly recognize exceptional PM talent, through a proven series of situational behavioral activities and observations, that unmask the candidates and accurately identifies their future performance level. 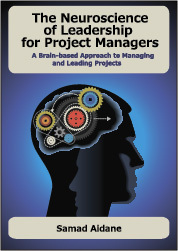 How did you get interested in exploring the challenges of leading change and effective ways to handle resistance to change and why should project managers pay attention to this topic? You outline an approach for leading change in the face of resistance that has 7 components. Give us a high level overview of these 7 component and then let’s talk about each one of them. 10. What key takeaways you’d like our listeners to take from our conversation?